Add a cool mug to your collection with the Austin, Texas, Black Night Sky Ceramic Mug! 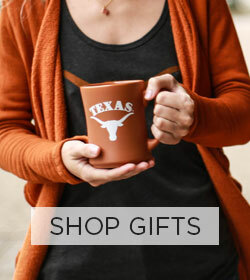 This black mug features the downtown Austin skyline, a longhorn silhouette, and stars with the moon against a pearl blue background. Pearl blue 'Austin' is embossed in raised relief along each side. Holds 18oz. Microwave and dishwasher safe.